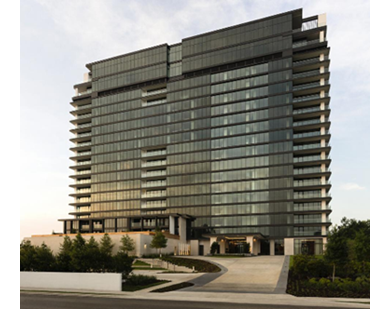 ​​​​​ HOUSTON – The River Oaks, a redevelopment project by New York-based Arel Capital to convert the former 1960s-era River Oaks Luxury Apartments into a luxury condo building, opened this month. Located at 3433 Westheimer, the 19-story, $120 million project sits on three acres near St. John’s School and St. Luke’s Methodist Church. Units are priced between $1.8 million and $7.5 million, ranging from 2,724 sf to 6,541 sf. The 79-residence building has 18 units left, each featuring Calcutta marble countertops, freestanding bathtubs, and Poggenpohl cabinets.